The best time to do tree maintenance is after their branches are stripped clean of leaves for the winter, and today’s Amazon Gold Box will ensure you’re properly equipped for all of your sawing needs. 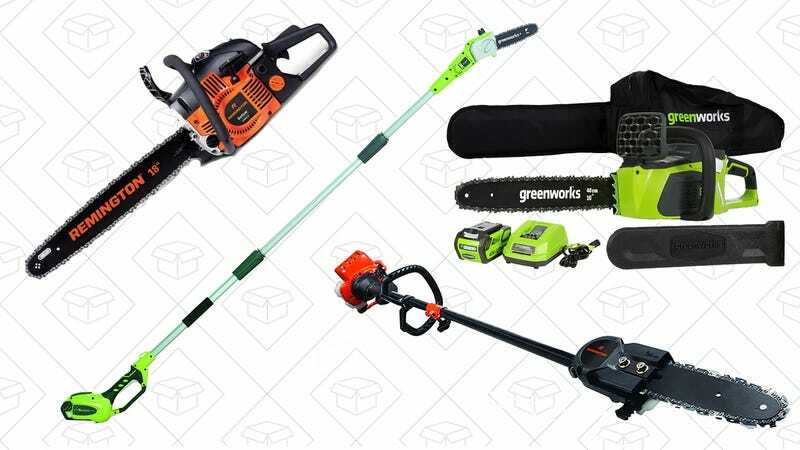 Inside, eight different chainsaws and pole saws are marked down to great low prices, including both gas, battery, and extension cord-powered models. Just please, please, please be careful with them.